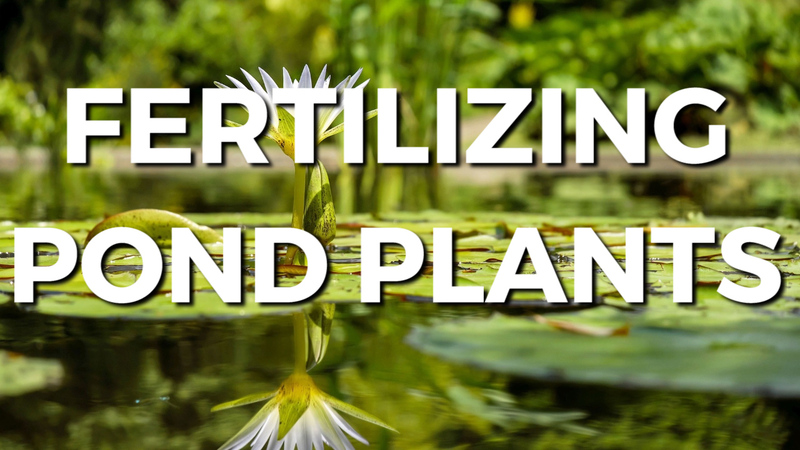 Fertilizing Pond Plants Fertilizing your aquatic plants will ultimately maximize the overall health and beauty of each plant. Hi, I’m Joe from webbsonline and today I’m going to discuss fertilizing your pond plants. Fertilizing your aquatic plants will ultimately maximize the overall health and beauty of each plant. In this video we’ll review direct feeding using PONDTABBS fertilizer tablets. PONDTABBS are water soluble tablets that provide optimum feeding for all your potted aquatic plants. A trick I’ve learned – empty out the number of tablets you plan on using and then close the bottle. If your hands are wet and any water is left inside the bottle after it’s closed – the next time you open the bottle you will have a bottle of dust. The moisture ultimately breaks down the integrity of the tablets. When used as directed this product will not affect algae growth or have any negative effects on fish. It’s recommended you feed your plants monthly during the growing season at a rate of one tablet per gallon of soil. To apply - insert the tablet deep into the soil a few inches from the crown of the plant. When using multiple tablets, space them uniformly around the plant. Nutrients will release within five minutes. When the water temperature rises above 72 degrees feeding should be increased to every two weeks. For additional information on fertilizing pond plants please feel free to contact us. I’m Joe from webbsonline. To start, you'll need 3 measurements. Length, width and average depth. These measurements must be made in feet. These foods are high carbohydrate percentage foods, lesser amounts of protein and are more easily digested in the colder weather.